Fingers is a 1978 drama film directed by James Toback. 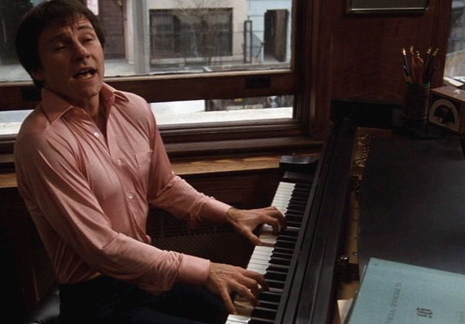 It features Harvey Keitel as a pianist who also works for his loan shark father as a "collector". He is a conflicted soul, torn between his art, his loyalty to his father, his sexuality, and his past. The film makes use of music to create a dichotomy between what the viewer is hearing and what they are seeing, which helps them feel the schizophrenia being experienced by the protagonist. The film was remade in 2005 as The Beat That My Heart Skipped. "Fingers" marks the directional debut of the screenwriter James Toback ("The Gambler"), who exhibits a fatal fascination with Jimmy's every petulant quirk. Mr. Toback, having created a character whose intrinsic charm plus 50 cents would only barely get him onto the subway, seems incapable of putting his hero in any kind of dramatic perspective, and he is apparently unwilling to explore him in terms more intimate than those of an introductory psychology course. Jimmy's mother was a musician and his father is a boorish gangster; his mother resents him bitterly and his father wishes he'd strangled him in his crib. No wonder the kid's got a headache.